Nintendo Download: Swords & Sworcery & Monster Boys, Oh My! Wow, what a week we have coming up for the Switch. Not only do we have Super Smash Bros. Ultimate next Friday (Dec. 7), but we also have a ton of eShop games to consider. Check out your choices! 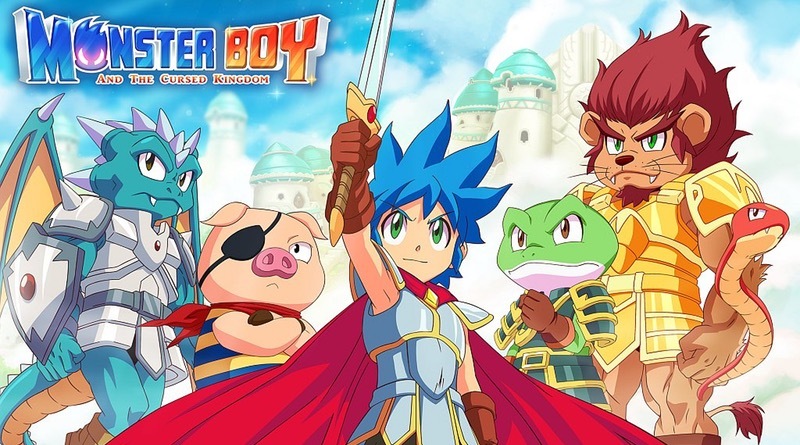 Monster Boy and the Cursed Kingdom – Can Jin save Monster World Kingdom? Help our young hero defeat challenging enemies, discover hidden locations and upgrade powerful equipment. You’ll also unlock special forms with unique skills used to open new paths where mighty bosses and secret treasures await. The Monster Boy and the Cursed Kingdom game is available Dec. 4. Superbrothers: Sword & Sworcery EP – Traverse a mythic little realm, use a sword to do battle and evoke “sworcery” to solve mystical musical mysteries. Experience a video game world that is affected by moon phases, and help a wandering warrior monk complete her woeful errand. The Superbrothers: Sword & Sworcery EP game is available on Nov. 30. Animal Crossing: Pocket Camp Version 2.0.0 Update – A new Animal Crossing: Pocket Camp smartphone update* is now live! The version 2.0.0 update introduces a cabin, improved Friend List and an inventory increase. The cabin area can be accessed via the map once you reach level 15. The cabin is a new area that you can decorate with furniture, much like you do with the campsite. The improved Friend List lets you register a Fave Photo you took within Animal Crossing: Pocket Camp for all your in-game friends to see, in addition to giving Kudos and helping your friends in Shovelstrike Quarry without leaving your Friends List. Furniture, clothing and collected items have all received max-capacity inventory increases, just in time for the upcoming holiday-themed events. Check out the game site for more information about the update. My Nintendo December Rewards – December is a big month for gamers, with the launch of the Super Smash Bros. Ultimate game on Dec. 7. To celebrate the release, My Nintendo is offering a Super Smash Bros. Ultimatethemed December calendar. Redeem your points** to get this cool reward starting on Nov. 30. *Persistent Internet and compatible smart device required. Data charges may apply. After the update, Android devices running on OS4.4 or below or that have 1.0GB of RAM or less will no longer be compatible with the application and previous versions of the application will become unusable. **A Nintendo Account is required to receive and redeem My Nintendo Points. Terms apply. https://accounts.nintendo.com/term_point.